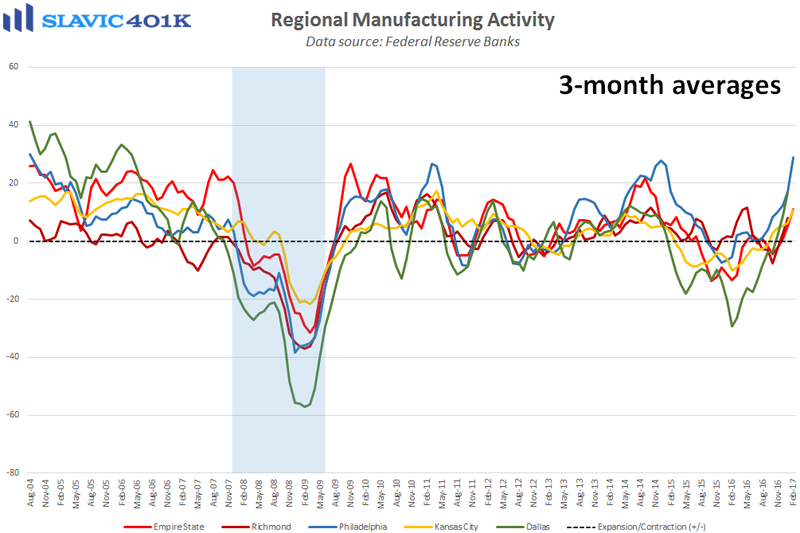 There were two important reports on the U.S. economy released this morning. 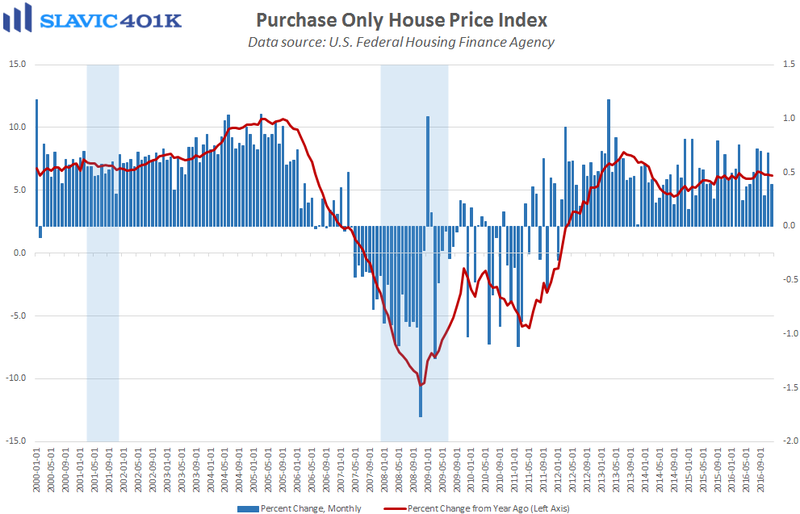 First, the Federal Housing Finance Agency’s (FHFA’s) national home price index (HPI) rose by 0.4 percent in December (lagged), in line with expectations and the 59th monthly increase in a row. On a year-over-year basis, home prices grew by 6.2 percent in December, well above current measures of wage growth and consumer inflation. Over the course of 2016, home prices rose in 46 states and the District of Columbia, with the largest gains found in Oregon (11.0 percent), Colorado (10.6 percent), Florida (10.4 percent), Washington (10.2 percent), and Nevada (8.9 percent). Among the 100 biggest metropolitan areas in America, annual price increases were greatest in the Tampa-St. Petersburg-Clearwater region, where home values jumped by 13.2 percent. 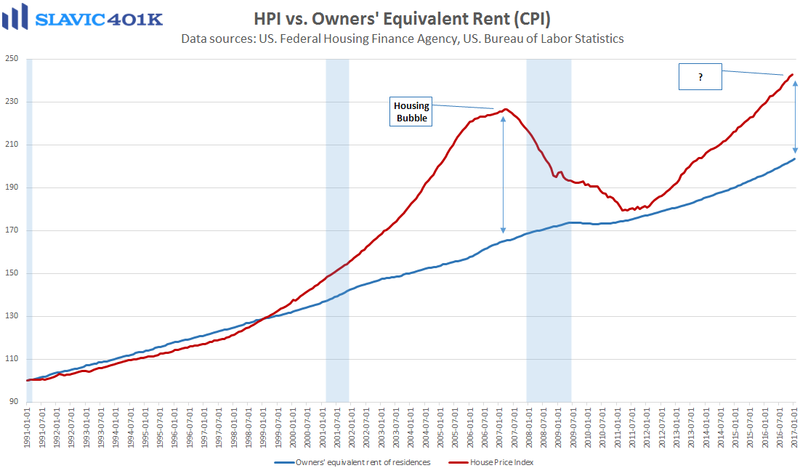 Some economists like to compare the HPI to the owners' equivalent rent section of the monthly consumer price index (CPI) report from the U.S. Bureau of Labor Statistics to help spot price bubbles. As the second chart below shows, home values have increased significantly in recent years but remain below the extremes seen prior to the last recession. 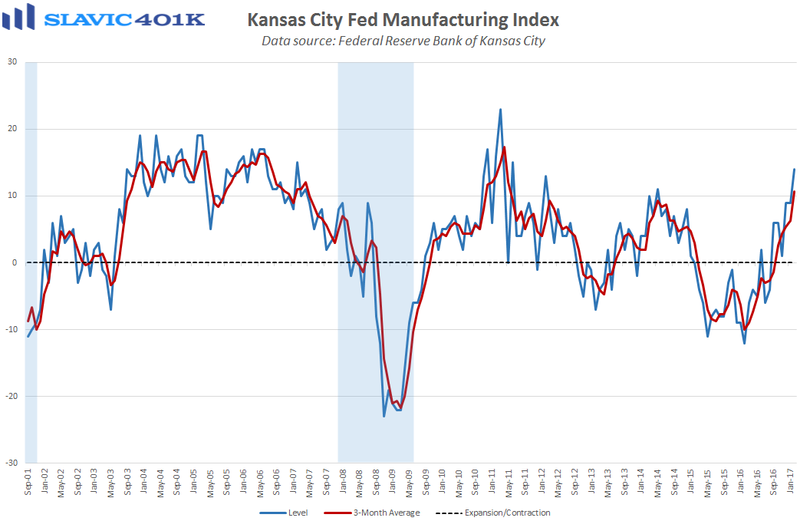 Going forward, the housing market faces several headwinds but inventories remain low, which means that home prices are likely not going to start falling sharply any time soon. This environment is bad for first-time buyers but apparently appealing to housing market investors (flippers).